Every year I celebrate the holidays with friends and family. I enjoy cooking for two sets of people during the holidays. My kids and family and also my friends that like medicated gourmet cuisine. I had a few family members fighting at Standing Rock Indian Reservation in North Dakota, for our rights with the water of our land. All food and life come from water and the indigenous people of North America are fighting for our rights to not lose control over our lands and resources to oil corporations. This is a civil rights violation. This meal and article is dedicated to all the WATER PROTECTOR’S and their families. You are my heroes. Thank you for fighting for our rights. This year I injected the medicated turkey and named it Phoenix Turkey. I medicated the recipe with 10,200MG of organic fractionally distilled cannabis oil testing in at 85% THC and 3% CBD. This spicy bird and meal will keep you painless into the 2017 New Year. This year there were ten adults that consumed every last morsel. Yes, 1,020 MG THC PER PERSON. Happy Holidays! Please come and check me out in my booth at The Emerald Cup, in Sonoma CA Dec. 10-11, 2016. I am launching my new medicated edibles and synergy topical line. 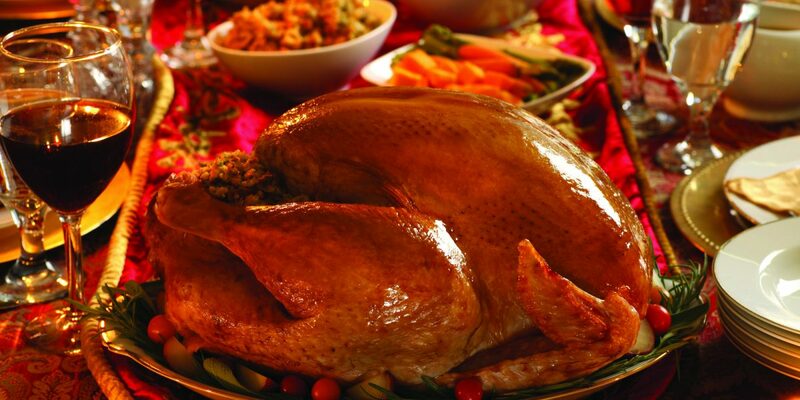 Preheat oven to 350 degrees F (175 degrees C) and thoroughly rinse turkey. Brush the turkey with 1/2 the melted butter. Place breast side up on a roasting rack in a shallow roasting pan. Stuff the turkey cavity with 1 onion, 1/2 the carrots, 1/2 the celery, 1 sprig of thyme, and the bay leaf. Scatter the remaining vegetables and thyme around the bottom of the roasting pan, and cover with the white wine. Roast covered 4 to 5 1/2 hours in the preheated oven, until the internal temperature of the thigh reaches 180 degrees F (85 degrees C). Allow the bird to stand about 30 minutes before carving. Combine all ingredients and heat to a simmer then let cool. Inject the Phoenix Turkey and smear all remaining sauce all over the bird. The injectors are basically a hypodermic needle with a large gauge needle. Use this syringe to inject small amounts (about 3 teaspoons per location) of sauce into the thick parts of the Phoenix Turkey before cooking. Boil potatoes until tender and drain. In the same pot, melt the butter and add the garlic and cannabis oil. Once all is incorporated into the butter, add the potatoes back to the pot and whip until light and fluffy. Blanch and ice bath green beans. In a large sauté pan, begin heating bacon and start browning. As the first grease gathers, drain then add onions and bell pepper. Once cooked, add green beans, garlic, and almonds and let sauté 3 minutes. Add brown sugar, when it starts to melt, add whiskey and let flambé. FIRE IN THE HOLE: Add butter THC mixture, mixing completely and serve.